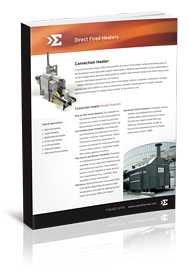 Sigma Thermal's direct fired (convection style) heating system can be configured to match your specific requirements. We offer two styles of heating systems that contain intricate design features. Download our brochure for more information.